It’s All About You Week! And We’re Running a Competition! Our Social Exclusive this week is well & truly all about you! 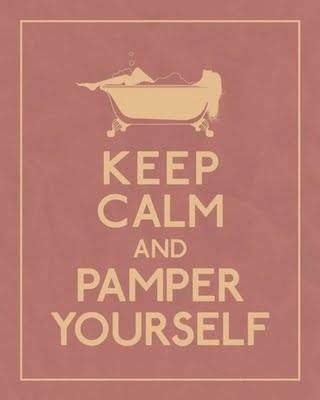 In keeping with the theme of TJC’s All About You week, we’ve decided to celebrate the art of pampering with our ‘Pamper-Pic’ Competition! Yes, it really is as good as it sounds. To enter, all you have to do is send us your pamper pics! That’s you, simply taking a little time to yourself. Whether it’s a quick cuppa in front of the TV, a relaxing cucumber facial, or maybe a stroll in the park, send ‘em our way! Simply tag us in your picture (that’s @TheJewelleryChannel on Facebook, @TJCSHOPPING for Twitter, and @thejewellerychannel for Instagram) and we’ll post one a day. Then, on Friday, we’ll pick our favourite, & the winner will receive a stunning MYSTERY GIFT! So go on, time to put your feet up & relax, after all, this weeks all about you! Attention Winners: Your Free Gift is Coming!